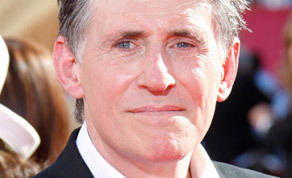 It has been confirmed that Irish actor Gabriel Byrne (In Treatment, The Usual Suspects) is in talks to join the cast of Oscar-winning director Costa Gavras latest film ‘Le Capital’. Based on Stéphane Osmont’s novel of the same name, ‘Le Capital’ tells the story of the head of a giant European investment bank who desperately clings to power when an American hedge fund company tries to buy them out. Mathieu Kassovitz (Amélie, The Fifth Element) will re-team up with director Costa Gavras whom he worked with in 2002 war drama ‘Amen’. A representative from Gabriel Byrne’s camp said that they were currently in talks with the KG Productions project although nothing had been locked down as of yet. Gabriel Byrne has recently finished shooting on Barnaby Southcombe’s ‘I, Anna’ and will be visiting Galway on Friday 10th June to speak as part of the Irish Theatre Forum Conference from his new position of Cultural Ambassador for Ireland.